If you are having problems with your GE top load washer overfilling after you start a cycle then there are several things that can cause this problem and it’s a fairly common issue with GE top load washers. 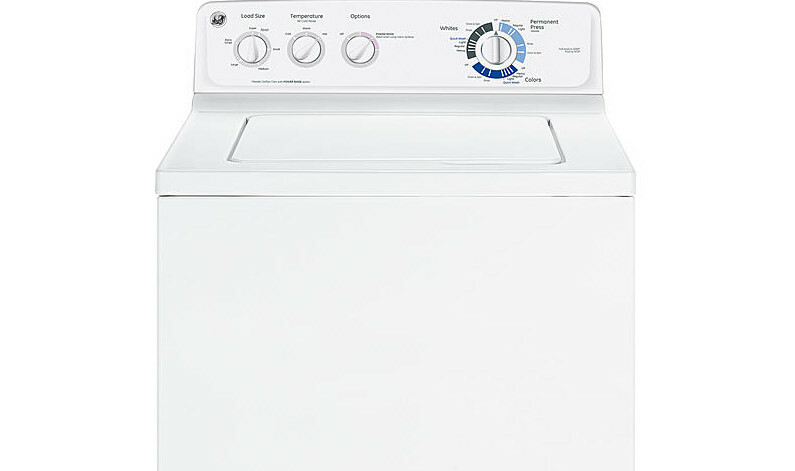 The first thing you need to do is remove the front panel of the washer, if you don’t know how to remove the front panel see our guide Ge Top Load Washer Washer Will Not Agitate or Spin Repair it has instructions on removing the panel. The way the washer knows when to stop filling the tub with water is there is a pressure switch mounted in the control panel that has a plastic hose connected to it and the hose runs down to a dome on the side of the washer tub, as the tub fills with water it pushes air into the dome and through the hose back to the pressure switch the more the tub fills the higher the pressure becomes on the switch until the switch is finally satisfied and kills power to the water inlet valve so that the washer stops filling. If the pressure switch hose gets stopped up from soap scum or debris the air pressure will not get to the switch allowing the washer to overfill. You will need to check the water level pressure switch hose and make sure that it is not stopped up. 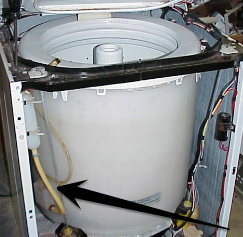 The image below shows you where the hose is attached to the side of the washer tub. Most of the time it is stopped up right at the area where it connects to the dome on the side of the tub. Also be sure to check that the hose is not pinched anywhere and does not have any small holes or tears in it causing it to release the pressure before it is able to reach the pressure switch and this will cause your GE top load washer overfilling error. If the pressure hose looks good and checks out then the water level pressure switch is faulty and has to be changed out. The pressure switch is mounted in the console of the washer, you will need to remove the back panel on the head of the washer. Below is a video that shows how to replace the pressure switch and in case you need to know how it also shows how to disassemble the unit to remove the pressure switch hose.